The next big step for Samsung will probably be an online store which will be exclusively dedicated to accessories. Samsung has a great marketing policy and we can easily notice that if we look at the high number of buy locations and advertising. Mobile accessories are one of the old concerns of Samsung as the company didn’t have an official store. Users will be able to buy the Body Scale for Galaxy S4 or the Heart rate monitor which will improve their experience with the devices. ET News is announcing us that Samsung is working at this store and they will launch it in Europe somewhere in July. The rest of the world has to wait a little bit more. 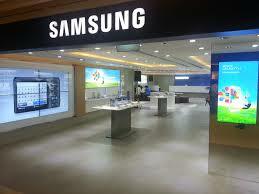 So, you will find accessories made by Samsung or by partners of the company. Also, you can find the newest products offered by Samsung like the wireless charging kit for Samsung Galaxy S4 which was released just few days ago. In this way, Samsung wants to gain money and also to stay close to its customers which will love the idea to buy directly form the company instead of other subcontractors. Also, the price will be lower and customers will always choose the cheapest option especially if the products are original and fully compatible with their devices. In the same report from ET News we found the sum of $44 billion for the worldwide market of smartphones accessories and this is may be one of the big factors why Samsung wanted to invest in such a store.